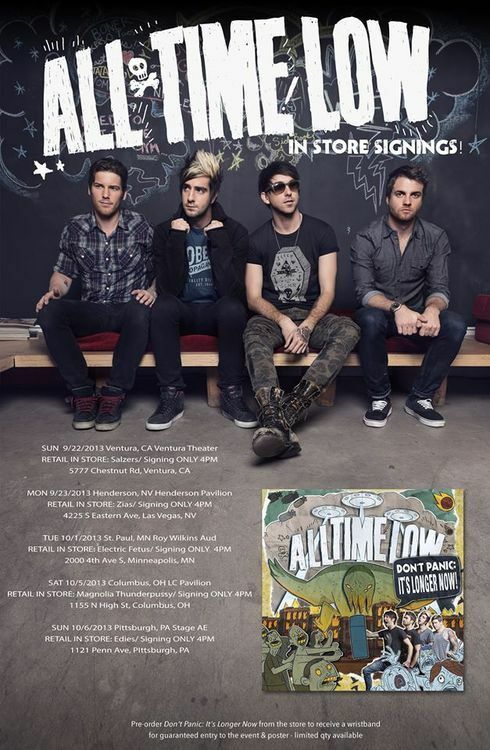 All Time Low have announced a string of instore signings to promote their upcoming Don't Panic: It's Longer Now! album. Find out if the band are coming to your town below. Don't forget to catch ATL on tour this fall with Pierce The Veil and A Day To Remember. All dates and ticket information can be found here. Don't Panic: It's Longer Now! will be released on September 30th. Pre-orders can be found here.